Landscape Lighting - New England Electrical Contracting, Inc.
Professionally installed landscape lighting is a great way to highlight the pride you take in your home. A well thought out design can add value and beauty with the flick of a switch. Give us a call for your free consultation! In addition to custom landscape and hardscape lighting, we offer extensive outdoor electrical services for both residential and commercial customers. Walkway and outside lighting is a fundamental part of a landscape’s overall design. 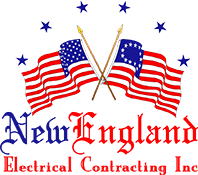 The team at New England Electrical Contracting understands the importance of landscape lighting and offers its customers, service and installation in and around Fairfield County, Connecticut. Professional installation ensures homeowners that all landscape lighting has been wired properly, and completely meets the requirements of local code enforcement.